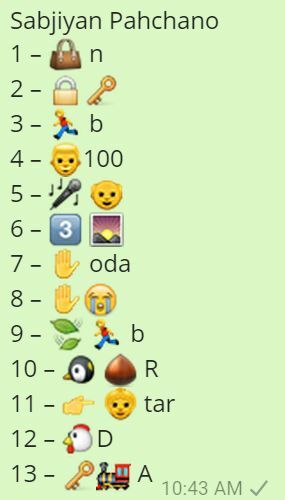 Sabjiyan Pahchano from given Whatsapp Emoji / Emoticons / Smileys and give your answers in the comments. दिमाग लगाओ और सब्जीया पहचानो .............????????? सच्चीमे घरकी बहु ये हुशार होंगी तो बतायेगी .......???? ?